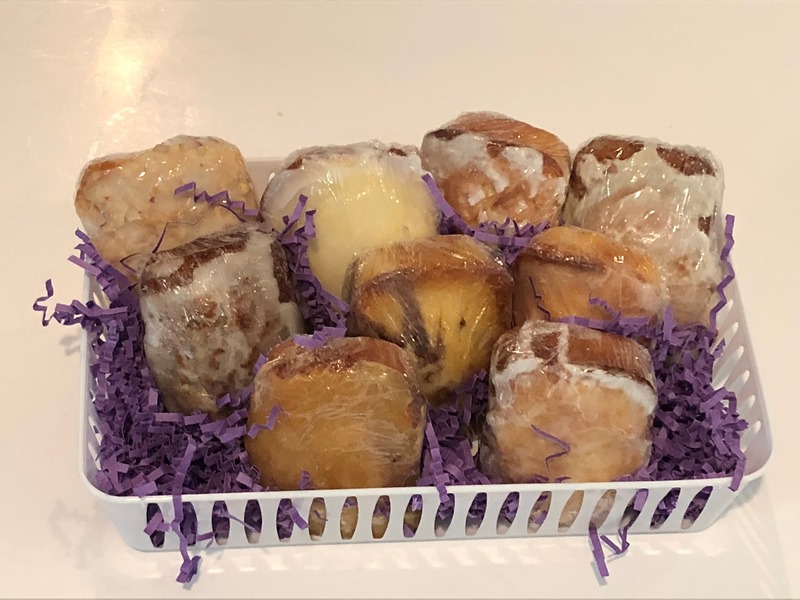 Perfect for someone who enjoys homemade treats, corporate edible gifts, college care package, realtor thank you gift, hostess gift or the perfect sampler to show up to the party with. Discounts available for volume orders. Presented in a tray wrapped with cello and a bow. Your day just got a little sweeter or a lot brighter if your Name is on the Nana's shipping label. Put on the coffee and get ready to enjoy these taste sensations. Ten delicious Nana's best selling old fashioned made from scratch pound cake "loafie". Yummy flavors may include cream cheese, plain, sour cream, blueberry, pineapple, chocolate marble, lemon, key Lime, chocolate, orange, sour cream orange pecan, caramel, Hawaiian banana nut, coconut , Amaretto , rum and more. Delicious, moist and oh so craveable. You will receive ten individually wrapped mini pound cake loafies in ten delicious flavors. Made to order with the freshest ingredients and ready to enjoy. ***** So yummy! Just received Wednesday and gone by Friday!!!! smile to everyone in our family! *****They were perfect and they made my friend so happy to see them and she said the cakes were absolutely delicious. Thank you! Follow and like us on Facebook for great specials. We order these as a gift. They loved everyone of them. They said they were all equally delicious.